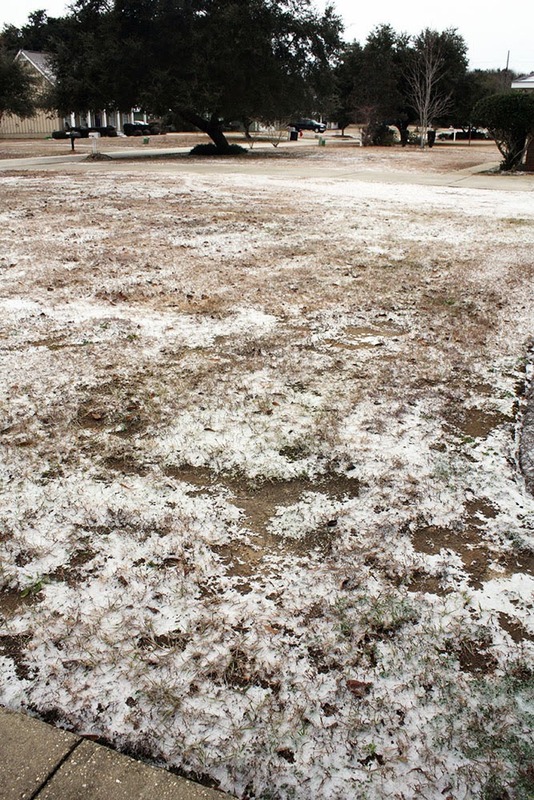 If you haven't heard, it really did snow in Alabama yesterday. I say "snow" but what we in the lowest portion of Bama received was less snowflakes and more sleety-ice that somewhat stuck to the ground. 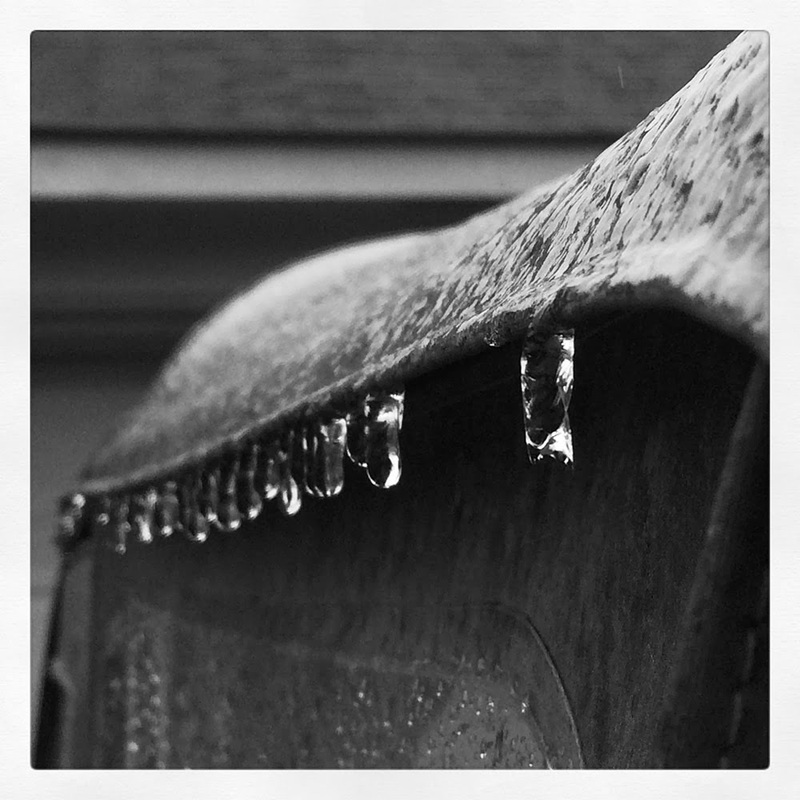 There were hours upon hours of wet sleet that formed icicles on everything. The ice that coated all the leaves made for an almost pleasant wind chime effect as the wind blew. However, if you were out there listening to it, you were also freezing your tail off. 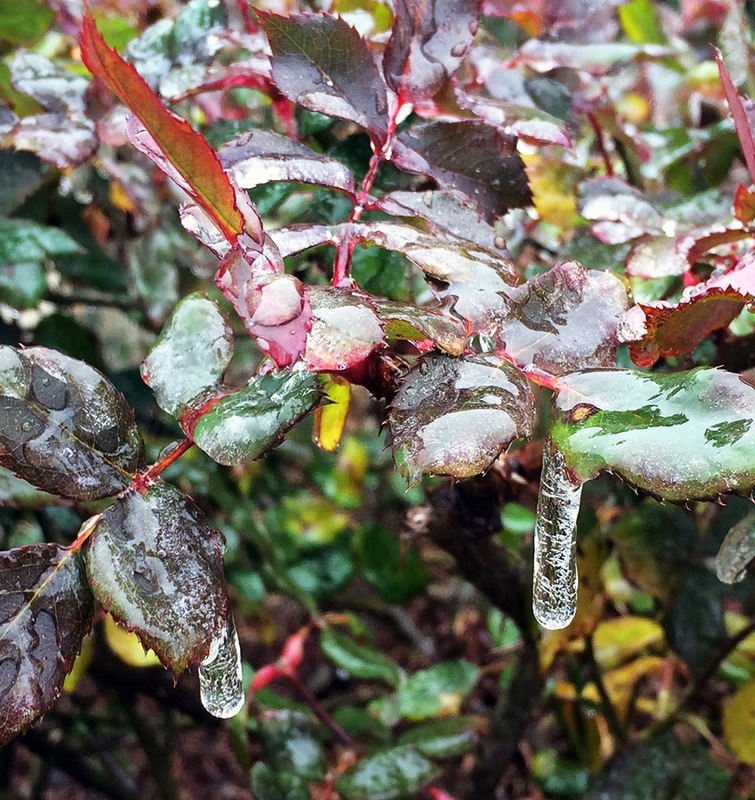 I'm just praying my poor rose bushes will be okay. 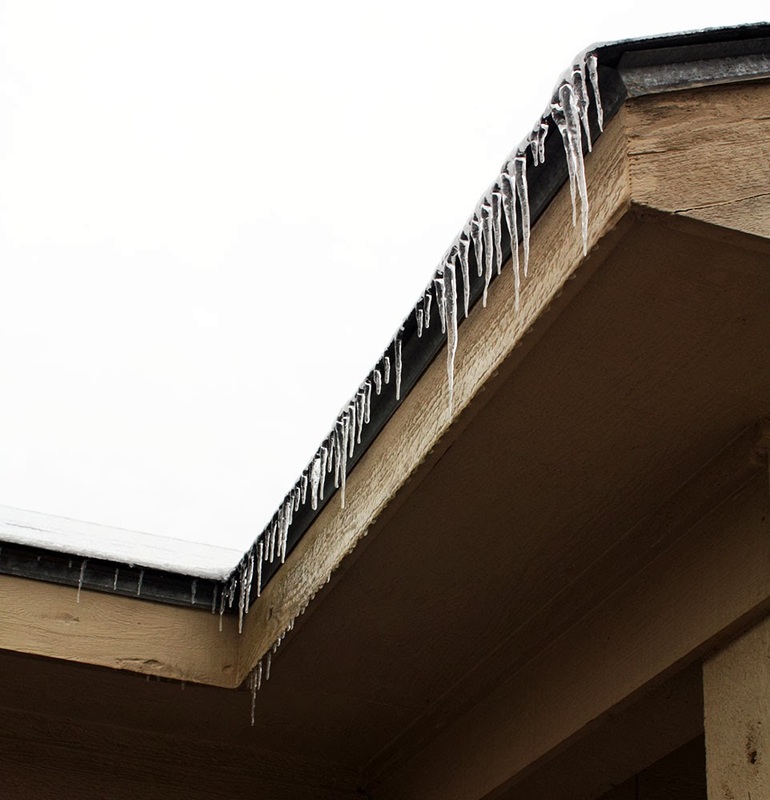 The ice is currently starting to melt and dripping off everything, but the temperature is starting to drop again. As such, I doubt the roads will be driveable again tomorrow. 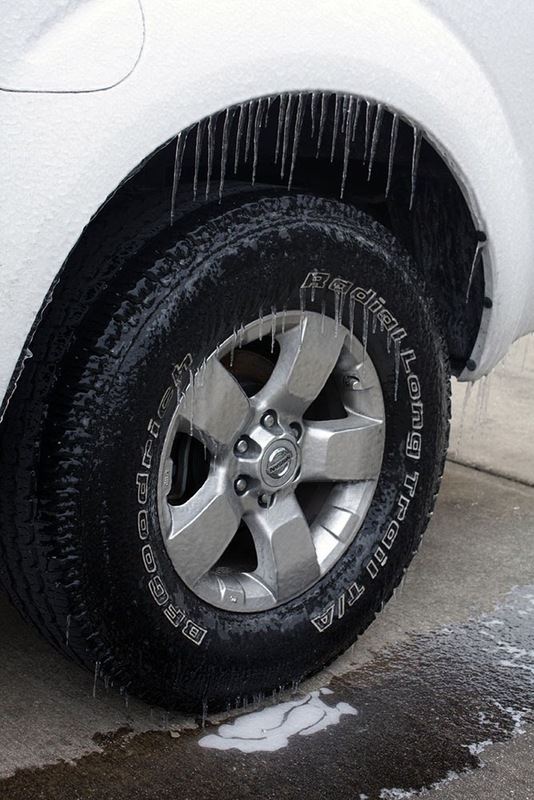 The tires on Pat's truck were covered in icicles. I laughed because they even hung off the bottom. 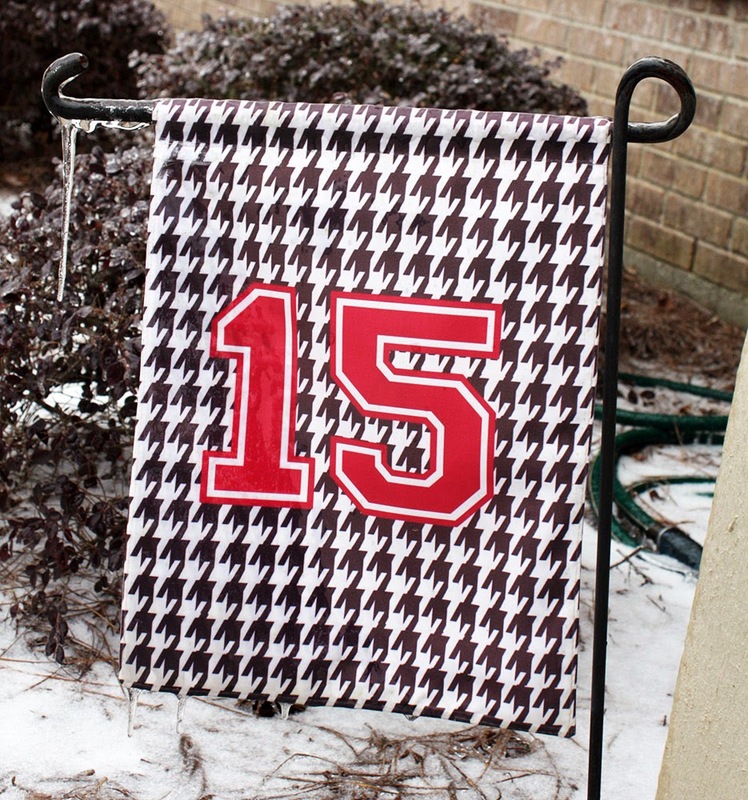 There's been a lot of hullabaloo about why Southerners can't handle a little snow. Before you start making fun of us (or continue to do so), take a look at this article at Gizmodo on Why the South Fell Apart in the Snow. It may explain a few things. 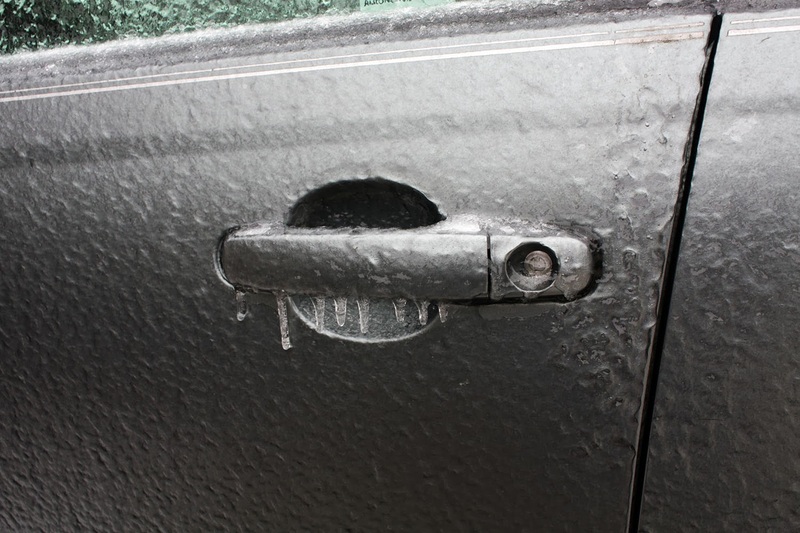 No worries, I won't be going anywhere as long as my car's door handle is froze up like this. While I often consider a change of pace nice, I'm ready for all this cold, wet ickyness to be gone. Icicles on my front porch. It's almost pretty, but y'all Northerners can keep it! It's very pretty. I wish it would snow like that just once where I live. We don't even get the ice, only something between ice and rain that doesn't look pretty at all. Enjoy it because it makes amazing beautiful pictures. I'm from the north and I can tell you that what fell wasn't snow. It was ice, and even up north that's a scary thing. The main thing to battle against ice is salting or brining the roads before it falls which is not something the south is prepared to do. I'm very thankful we did not have power outages which would have made this all so much worse (no heat). I'm really looking forward to 70 degrees this weekend which is more like what I expected winter to be like when I moved here. I've seen plenty of snow and ice in my lifetime. I've shoveled it, scraped it, driven through it, and have gotten stranded in it. You've had just a small sampling of what to expect living up north from October to May. More and more people my age are coming south because we just got tired of dealing with this mess. I can't even tell you how depressed we are that it followed us here, but what scares me more is hurricane season. We haven't lived through a big storm yet. Not looking forward to that scenario either. 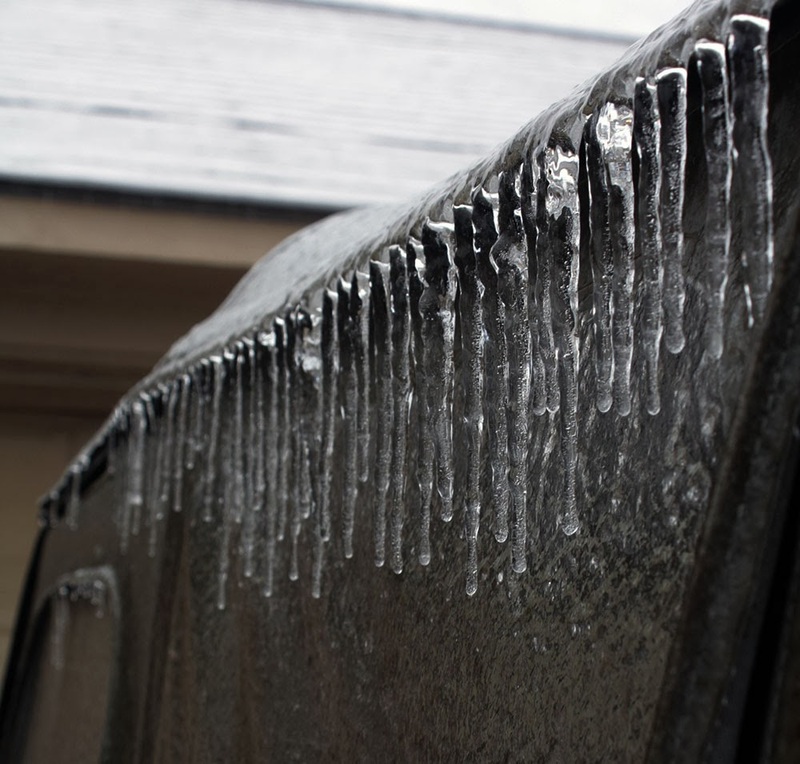 Hope, when you mentioned icicles on your jeep the other day, I knew the image would make it onto your blog. It is too bad that something so darn annoying is so pretty. Hope your trees and bushes all survive! The ice really is beautiful but also dangerous. We got a bit of snow here last night, and thankfully no ice. But it sure is cold here! Stay warm.